Beautiful, technical, wild, demanding, there are so many adjectives to describe the TDS®. Acronym for "Sur les Traces des Ducs de Savoie" (the footprints of the Dukes of Savoie), the TDS® links the Aosta Valley to the Savoie, offering a voyage of discovery to the villages of the tour du Mont-Blanc and the mountains that surround them. To pass through this unique playground is to walk where history and mountains, the technicality of the terrain and the kindness of its inhabitants blend together. 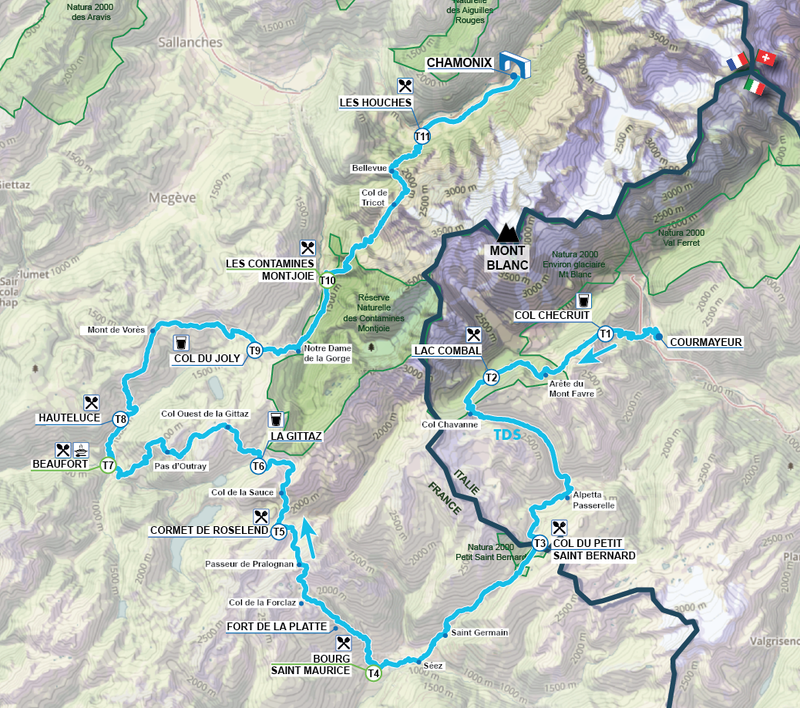 In addition to its traditional departure from Courmayeur, the 2019 edition of the TDS® will explore the Beaufortain region! The new route winds through the unmissable places of the massif such as Pas d'Outray, with its breathtaking view of the Pierra Menta and the Grand Mont (two mythical places to ski mountaineering) but also Hauteluce with its typical hamlets and its breathtaking view of Mont-Blanc; a re-invented TDS® awaits runners. With its unique landscapes, its friendly and alpine atmosphere and its many remarkable viewpoints, the TDS® is more than ever a world-class race and the adventure of a lifetime. It is up to you to come and write the history of the TDS®. Recharge your batteries with Garmin! Garmin's assistance area where runners can recharge their watches, ask for help if they have a problem and change a broken bracelet during the race.